European Podcast Award 2012 – UK Personality WINNER! This week, we cover off the last fortnights events, with the arrival of our son and the winning of the European Podcast Award, plus 8 rather spiffing pieces of music. 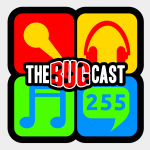 The next show will be episode 256, which will be broadcast live in the chatroom on Friday 5 April 2013 from 21:30 UK time.